Sixty-eight year old Bob Woodward, an associate editor at the Washington Post, is considered one of America’s most informed investigative journalists. In 1972, his disclosure and consistent reporting with Carl Bernstein of the Watergate Scandal led to the resignation of President Richard Nixon. Woodward, a Pulitzer Prize winning author of 12 bestselling non-fictions, published his book Obama’s Wars in 2010 which focuses on the war in Afghanistan and the internal debates in Washington, Islamabad and Kabul about the war. 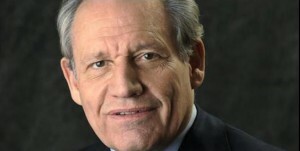 In an exclusive interview with Dawn.com, Bob Woodward talks about the future of Afghanistan and Pakistan in the midst of America’s gradual withdrawal from Afghanistan. Q: Washington has now confirmed contacts with Taliban for brokering peace in Afghanistan. Had the Americans already contemplated embarking upon a negotiation process with the Taliban or is this a decision made as a last resort because mere military action has not worked? A: Oh yes, that is the way you end a conflict, isn’t it? In my book, Obama’s War, the Americans say that they won’t defeat the Taliban but will make them a part of the fabric of Afghanistan. A political settlement eventually has to be the end of the conflict. Q: What is the feeling like in the Obama administration as it prepares to pull out of Afghanistan? Is there a sense of achievement or is it marked with a feeling of regret for not achieving the objectives set earlier in 2001? A: It is, as the phrase goes, fragile and reversible. Q: Does that mean al Qaeda will regroup and reemerge in Afghanistan in the future? A: No, I don’t think so. They will be crazy to return with the deployments and the capabilities the US has in Afghanistan. In my book, I talk of CIA’s 300-man army in Afghanistan, the Counter Terrorism Pursuit Teams (CTPTs). If the United States had these CTPTs prior to 9/11, it would have perhaps easily driven bin Laden and al Qaeda out of Afghanistan in spite of the protection provided to them by the then ruling Taliban regime. My assessment maybe wrong as it is based on an “if-question” but the point is you don’t necessarily need a lot of force to keep al Qaeda out of Afghanistan. Q: In your book, there is a continued fear of another 9/11-like attack on the United States? Do you think that is a genuine concern? Q: And you also argue that the Afghan war has actually shifted to Pakistan. How much as the war trickled down to Pakistan? A: In my book, I quote President Obama saying that the “poison” (war) is in Pakistan. The killing of Osama bin Laden inside Pakistan is the proof of that. The Pakistani military and the intelligence officials continued to say that that bin Laden and al Qaeda leaders were not in Pakistan. It was their official position. Q: So how upset is Washington with Pakistan after the killing of bin Laden on the Pakistani soil? A: The US is very upset with Pakistan but it is one of those things that both the countries can’t do much about because they need each other. I think both the countries are being very naïve. They are thinking that when they are working together then there will be a total overlap of national interest. This does not happen in international politics. They have to live with this reality. Q: Do the Americans hold the Pakistani intelligence services responsible for harbouring bin Laden? A: Yes that is right. It is already known but what has not been established yet is who at what level collaborated with al Qaeda. People in the US government have said that there is no evidence which can substantiate that Pakistan’s top leadership, President Zardari, army chief Kayani and ISI head Shuja Pasha, directly knew that bin Laden was hiding in Pakistan. Q: Is Washington worried about the safety of Pakistan’s nuclear program? A: Oh yes. That is a real worry. But that is one of those realities that everyone has been able to live with so far. Q: In your book, you term the Quetta Shura as the central pillar of Taliban, which manages operations and appoints commanders. How significant is the Quetta Shura? A: The Quetta Shura is definitely a serious issue because it’s the top leadership of the Taliban. It is a part of the potential negotiation. The US has stepped up its efforts in Pakistan. The Quetta Shura is real. Q: Who are the Americans more comfortable talking to, Asif Zardari or General Ashfaq Parvez Kayani? A: The United States realises that Kayani has the real power in Pakistan. Obama is trying to talk to Kayani about the importance of having a civilian leadership and a democratic government. I am sure Kayani buys that argument. Q: Is Kayani as popular with Washington as Musharraf? A: [Laughs] No. Certainly not. Kayani does not have the political ambition that Musharraf had. At least people in the US think he does not want to become the president of Pakistan. Q: With the announcement of the US roadmap for pull-out from Afghanistan, there is a growing fear of desertion in Pakistan similar to what the Americans did after the end of the Cold War. Is the history going to repeat itself? A: That is what a lot of people in the United States are trying to avoid because they are aware of the history. During the relationships between the countries, there come times when people get excited about good things happening and they become upset with bad things occurring. At times, countries lie to each other. You have to totally learn to deal with that. The future is going to be a test for both the countries. I don’t think bad things won’t happen but there should be accommodation for both the countries for each other. Q: Does the United States differentiate between al Qaeda and Taliban or are all of them seen from the same lens? A: I don’t think the American people can differentiate between the two. The Taliban are not held in the US in high regard because of their extremist practices and they killed a lot of American soldiers. However, the Taliban have not attacked the United States successfully yet although they tried to do so with the failed attempt by Faisal Shahzad at Time Square. Q: Will diplomatic relations between Pakistan and the US further worsen in the future? A: Their relationship is precarious but I don’t think it is going to fall apart. Q: What is the best way for the United States to engage Pakistan after it leaves Afghanistan? A: If you read between the lines, everyone seems to be talking about withdrawing by 2014. The United States military, on the other hand, still wants to leave 15, 000 to 25, 000 troops in Afghanistan though this decision has still not been worked out. Everyone knows the perils of a total withdrawal. Q: To what extent has the Raymond Davis episode and then bin Laden’s killing damaged cooperation between the CIA and the ISI? A: The current relationship is based more on verification rather than trust. Both the secret services have similar goals in certain areas and dissimilar goals and interests elsewhere. In Obama’s Wars, I say Pakistan is a “powder keg” whose ingredients are political instability, weak civilian control, a powerful army and a strong intelligence system which still has a strategy of cooperating with the US on the one hand and supporting the extremist groups on the other hand. The other ingredients of the Pakistani powder keg include its nuclear program; position between Afghanistan and unresolved problems with India. Malik Siraj Akbar, a Hubert H. Humphrey Fellow based in Washington DC, is a visiting journalist at the International Consortium of Investigative Journalists (ICIJ) of the Center for Public Integrity (CPI).